The New York Convention was ratified without reservations in 1972. The Washington Convention on the Settlement of Investment Disputes of 1965 (the ICSID Convention) was ratified in 1966 and the Energy Charter Treaty in 1997. Since 1929, Sweden has also been a party to the 1927 - seldom applied but still effective - Convention on the Execution of Foreign Arbitral Awards and the 1923 Protocol on Arbitration Clauses. Sweden is party to some 70 bilateral investment treaties, which all contain arbitration clauses. The Swedish Arbitration Act of 1999 (the Arbitration Act; online in English, French, German, Russian, Polish, Romanian, Czech and Chinese at https://sccinstitute.se/media/37089/the-swedish-arbitration-act.pdf) provides the primary legislative framework relevant to arbitration. As explained further under ‘Update and trends’, a number of amendments to the Act are expected to enter into force on 1 March 2019. The Arbitration Act is applicable to both international and domestic arbitration but only deals with arbitral proceedings seated in Sweden. The Arbitration Act implements the New York Convention in respect of awards rendered outside of Sweden. Swedish arbitral awards are enforced according to the Swedish Enforcement Code. No, but the Arbitration Act draws much of its contents from the UNCITRAL Model Law. Important distinctions are that the Arbitration Act applies to domestic as well as international arbitration, that there is no requirement that the arbitration agreement should be in writing, that a claim dismissed without prejudice by the arbitrators on grounds of lack of jurisdiction is subject to review by the courts, that the parties - if both are foreign - can waive section 34 of the Arbitration Act concerning the setting aside of awards, and that the Arbitration Act has rules on fees and costs of the arbitration. The Arbitration Act contains a few mandatory provisions. The most important ones are section 21 (the arbitrators must hear a case on a non-discriminative basis); section 24(1) (the arbitrators must allow the parties to plead a case as extensively as necessary in writing or orally); section 25(3) (the arbitrators are prohibited to use means of compulsion such as to swear somebody in or to impose fines); and sections 33 and 34 concerning invalid awards and the setting-aside of awards. No. If the parties have not agreed on the applicable law, the arbitrators will determine it. However, in relation to the arbitration agreement the governing law shall be decided by the arbitral tribunal pursuant to section 48 of the Arbitration Act. If it has not been determined that the Arbitration Act is applicable before such issues arise, inter alia, because the place of the arbitration has not yet been decided, a Swedish court or arbitration institute shall apply Swedish choice-of-law rules when deciding whether the arbitral proceedings are governed by Swedish law. Mandatory laws of another jurisdiction within the European Union other than the one chosen by the parties can be applied by the arbitral tribunal if allowed under the Rome I Regulation (EC 593/2008) (see Rome I articles 3 and 9). With respect to jurisdictions outside of the European Union, Swedish choice-of-law rules will decide whether there are overriding mandatory provisions that the arbitral tribunal shall apply. As a minimum standard, the arbitral tribunal will normally be bound by Swedish (if the arbitral proceedings are governed by Swedish law) and international public policy. The most prominent arbitration institution is the Arbitration Institute of the Stockholm Chamber of Commerce (the SCC Institute) (see www.sccinstitute.com). The SCC Institute has developed into one of the leading arbitration institutions in the world, and every year parties from as many as 30 to 40 countries use its services. There are also some much smaller arbitration institutes such as the West Sweden Chamber of Commerce and the German-Swedish Chamber of Commerce. Disputes that the parties may not settle by agreement are non-arbitrable. This is generally the case when the dispute concerns a public interest or a third-party interest such as security rights in property. Arbitrators may determine the civil law effects of competition law as between the parties. Consumer disputes are only arbitrable if the arbitration agreement was made after the dispute arose. Arbitration agreements become valid and binding as any other kind of consensual agreement. Thus, there is no written form requirement. For the arbitration agreement to be recognised, the agreement must, however, be made in respect of a specified legal relationship (eg, a contract). An arbitration agreement may be concluded by means of a reference to general terms and conditions containing an arbitration clause. However, case law has suggested that in situations where only a single reference to the general terms and conditions is made (containing an arbitration clause) - without further talks or negotiations on the matter - the arbitration clause in the terms and conditions may, under certain conditions were the parties’ have unequal bargaining power, be found null and void, although the remainder of the terms and conditions are valid and binding between the parties (see the Appeal Court of Övre Norrland, case RH 2012:8, decided on 19 January 2012; cf. NJA 1979 p. 666). The validity of the arbitration agreement shall be determined separately from the validity of the main agreement. Ordinary Swedish contract law rules and principles apply in respect of determining the validity of an arbitration agreement (see question 6). Further, a party may lose the right to invoke an arbitration agreement as a bar to court proceedings if it opposes a request for arbitration, omits to choose an arbitrator in time or omits to pay its portion of the security demanded by the arbitrators. A declaration of bankruptcy or liquidation does not terminate the arbitration agreement. There are no rules concerning this matter in the Arbitration Act and there is no clear-cut general answer in case law. Following a universal succession, a successor is bound by an arbitration agreement. Following a singular succession, the successor would normally be bound except where this would be unreasonable (see the Emja case, NJA 1997 p. 866). The same principles seem to apply in respect of guarantors, etc. No. The possibility for third parties to participate in arbitration is subject to contractual dispositions in the arbitration agreement, either as a part of the main agreement negotiated at the outset of the parties’ business relationship, or as a supplementing or separate arbitration agreement at the time of the dispute. However, article 13 in the SCC Rules (enacted on 1 January 2017) (http://sccinstitute.com/media/169838/arbitration_rules_eng_17_web.pdf) provides a possibility for additional parties to join an existing arbitration under certain circumstances. The ‘group of companies’ doctrine is not recognised as such, but a member of the same company group as the signatory may be or become bound by an arbitration agreement owing to general rules and principles of Swedish contract law (see question 9). There is no solution in the Arbitration Act to the different problems associated with multiparty arbitration, and the parties must deal with these questions on a purely contractual basis. The validity of such an agreement is subject to the same requirements as ordinary arbitration agreements. Article 15 of the SCC Rules enables consolidation of arbitrations under certain circumstances. At the request of a party, a newly commenced arbitration may be consolidated with a pending arbitration if the parties agree to consolidate; all the claims are made under the same arbitration agreement; or where the claims are made under more than one arbitration agreement, the relief sought arises out of the same transaction or series of transactions and the arbitration agreements are found to be compatible. No, provided that the person appointed as arbitrator has full legal capacity. Foreign nationality or lack of legal education is no impediment and there is no requirement that an arbitrator must be selected from a list of arbitrators. No such official list exists. As concerns judges from a court of law, both active and retired judges may be appointed. Contractual stipulated requirements are not accepted in relation to gender, sexual identity, ethnic affiliation, religion, disability or age. This follows from sections 1 and 3 of the Swedish Discrimination Act of 2008, which states that a contract that reduces somebody’s rights or obligations according to the Discrimination Act is invalid. Thus, the Discrimination Act applies to all kinds of contracts, including arbitration agreements, and also addresses indirect discrimination, meaning the effect that a contract might have on third parties. With regard to requirements in relation to nationality, it is not synonymous with ethnic affiliation and that if a requirement based on nationality can be objectively motivated, such a requirement would be allowed. If the parties are Swedish or Swedish law governs the dispute, the arbitrators are normally lawyers qualified in Sweden and specialised in either arbitration or the subject matter of the dispute. Furthermore, some active or retired judges, from all levels in the court system, are regularly appointed and then, often, appointed as chair of the tribunal. It is not common to appoint government officials as arbitrators in Sweden. The SCC Institute has a policy for appointment of arbitrators (http://sccinstitute.se/media/220131/scc-policy-appointment-of-arbitrators-2017.pdf) where it is noted that it seeks to foster diversity (under policy 6). In the arbitral proceedings that the SCC Institute administrated during 2017, 18 per cent of the arbitrators were women. However, counting only when the SCC Institute appointed the arbitrators, the figure is 37 per cent. The Arbitration Act stipulates that there shall be three arbitrators. Each party has the right to appoint one arbitrator and the appointed arbitrators subsequently appoint the third who also becomes chair of the arbitral tribunal. If one party fails to appoint an arbitrator, the other party may request that the district court makes the appointment. The court can also appoint the third arbitrator if the party-appointed arbitrators fail to do so. According to article 17 of the SCC Rules, the SCC Institute may determine the number of arbitrators having regard to the complexity of the case, the amount in dispute and any other relevant circumstances. The parties may appoint one arbitrator each if the tribunal is to be made up of three arbitrators. If any party omits to appoint an arbitrator, the SCC Institute will make the appointment. The SCC Institute always appoints the chair and the same applies when the dispute shall be referred to a sole arbitrator. If the parties can agree on a chair or sole arbitrator, the SCC Institute would not normally oppose the parties’ choice. Further, where there are multiple claimants or respondents and the arbitral tribunal is to consist of more than one arbitrator, the multiple claimants, jointly, and the multiple respondents, jointly, shall appoint an equal number of arbitrators. If either side fails to make such joint appointment, the SCC Institute may appoint the entire arbitral tribunal. A party may request that an arbitrator shall be removed if the arbitrator’s impartiality can be questioned. Such a request must first be made to the arbitral tribunal and the party may recourse to courts only if the request is denied. The Swedish Supreme Court has confirmed the high standard of impartiality that is demanded. In Jilkén v Ericsson AB (NJA 2007 p. 841), the Supreme Court made explicit reference to the IBA Guidelines on Conflict of Interest in International Arbitration. A request to the tribunal must be made within 15 days of the date of the party’s knowledge of the cause of his or her suspicions, and a petition to the court must be made within 30 days of the tribunal’s decision. A court may also remove an arbitrator if the he or she has delayed the proceedings. The court can then appoint a new arbitrator at the request of a party. The parties may agree that an arbitration institution shall determine all of these questions. Most scholars argue that the relationship between the parties and the arbitrators is contractual, although the contractual relation is deemed to be of a procedural law nature. All arbitrators must be impartial, including party-appointed arbitrators. The parties are obliged to pay reasonable remuneration and expenses. This obligation is joint and several unless otherwise agreed. The liability of the arbitrators is subject to the general rule of liability for negligence in Swedish contract law, thus no explicit regulation exists. Failure to apply procedural rules would normally be considered negligent, and the arbitrators’ liability is in that sense equivalent to the liability of judges. However, the contractual relationship between the parties and the arbitrators may allow for more flexibility in terms of letting inter alia the parties’ expectations on the arbitrators have an effect on the liability assessment. The contractual context also entails a burden to give notice of complaint within a reasonable time from the point that the party was aware of the negligent act or should have been aware of it. Failure to give notice of complaint will bar the party from invoking the negligent act as a basis for a claim against the arbitrator. For the arbitration agreement to be a bar to court proceedings a party must object to the court’s jurisdiction at the first opportunity it has to plead the case before the court, otherwise the right to arbitration is considered waived. However, a party can always choose to petition to a court in order to try to obtain a declaration that the arbitration tribunal lacks jurisdiction (see section 2 of the Arbitration Act and the Swedish Supreme Court’s decision in Russian Federation v RosInvestCo UK Ltd, NJA 2010 p. 508), inter alia, because of an invalid arbitration agreement. If the arbitral tribunal has been formed, the tribunal can order a stay of the arbitral proceedings pending the court’s decision or, as is normally the case, choose to continue the proceedings despite the parallel court process. The arbitral tribunal may decide on its own jurisdiction, but a party is still permitted to petition to a court to decide the question definitively (see question 21), although the arbitrators may continue the tribunal’s proceedings awaiting the court’s decision. A decision by the tribunal to dismiss a claim without prejudice owing to lack of jurisdiction may be altered by the Court of Appeal. Grounds to challenge the jurisdiction of the arbitral tribunal are considered to be waived if the party has participated in the proceedings without presenting the objection. Arbitrators may decide the place and language at their own discretion unless the parties agree. The proceedings are initiated when the defendant party receives a request for arbitration, unless the parties have agreed otherwise. The request must be in writing and contain an express and unconditional request for arbitration, information about whether the question to be resolved is covered by the arbitration agreement and information about the claimant’s choice of arbitrator. If the SCC Rules apply, the proceedings are initiated when the SCC Institute receives a request for arbitration. The request must be in writing and contain information about the parties, their counsel and contact details, a summary of the dispute, preliminary information about the relief sought by the claimant, a copy or description of the arbitration agreement or arbitration clause, an indication of the arbitration agreement under which a certain claim is made in cases where claims are made under more than one arbitration agreement, any comments on the number of arbitrators and the seat of the arbitration; and, if applicable, information and contact details of the arbitrator appointed by the claimant. The claimant must also pay a registration fee. There is no requirement of signature, and the request for arbitration does not have to be provided in more than one copy, neither under the Arbitration Act nor under the SCC Rules. No, but a party’s request for a hearing must be granted unless the parties have agreed otherwise. According to the SCC Rules, a hearing must be held if one of the parties so requests or if the tribunal finds it suitable. Failing prior agreement of the parties, the arbitrators are free to assess all kinds of evidence, including written evidence, witness examinations, expert witnesses, legal opinions, inspections, etc. The parties shall provide the evidence and the arbitrators are prohibited from taking any own initiative in this respect with the exception of appointing expert witnesses. Third persons, parties and party representatives, and employees may all testify. Witnesses cannot be sworn in by the tribunal. However, the tribunal can allow a party to petition to a court to hear a witness under oath. The IBA Rules on the Taking of Evidence in International Commercial Arbitration often serve as a guide in international arbitration proceedings. In addition to the answers to questions 18, 22 and 26, a court may also assist in the production of documents or other information that can be transferred in writing (eg, electronic information). A party must first have the arbitral tribunal’s permission to petition the court. An order by the court to produce documents is enforceable. The courts have no general right to intervene in arbitral proceedings. The parties have no imperative duty of confidentiality unless the arbitration agreement expressly contains such a duty. However, it is customary that the parties in arbitration uphold a high level of confidentiality, and it is often argued that this is part of the nature of the agreement (naturale negotii). Arbitral proceedings are private unless agreed otherwise and the arbitrators are obliged to handle the dispute confidentially. Counsel that are members of the Swedish Bar Association have a duty of confidentiality to their clients. Failing prior agreement, witnesses and experts have no duty of confidentiality. If a duty of confidentiality exists, it extends not only to the proceedings, but also to materials handed in during the procedure and the award. If an award is challenged at a court it will usually become a public document and the same applies in the case of enforcement. According to section 4(3) of the Arbitration Act, a court may decide on interim measures during and before the arbitral proceedings. Any such decision is enforceable. The court-imposed interim measures available include inter alia sequestration of specific property or property equal to the value of a claim, and injunctions or orders under penalty of a fine against undertaking actions harmful to the applicant party’s interests or to take certain actions. A court decision made prior to the initiation of the proceedings will be reversed if the claimant does not initiate arbitration within 30 days. An arbitral tribunal may also order interim measures, hence there is no exclusivity for the courts of law in that sense. However, such an order by the tribunal is not enforceable unless the parties have agreed in the arbitration agreement that the tribunal shall have the authority to render separate awards on interim measures. Also, the SCC Rules allow a party to request interim measures in a court. For interim measures prior to a request for arbitration, the SCC Rules offers a procedure with an emergency arbitrator. For further information, see questions 30 and 48. Yes. The Arbitration Act does not provide any basis to appoint an emergency arbitrator, and a claimant that has a need for interim measures must apply for such measures at the courts under Chapter 15 of the Code of Judicial Procedure. However, the SCC Rules have, since 2010, offered the possibility to request the appointment of an emergency arbitrator to deal with requests for interim measures. The procedure was implemented after a survey, where 82 per cent of counsels in SCC-administered arbitrations were of the opinion that interim measures should be available before the constitution of the arbitral tribunal or appointment of a sole arbitrator. During 2017, the SCC Institute has seen a total of three emergency arbitrator cases and the general opinion is that this supplement to the SCC Rules has worked well. Parties cannot choose to opt out from the emergency arbitrator set of rules, which is distinctive from the ICC Rules of Arbitration, and others. An arbitral tribunal may order similar interim measures as a court, but not under penalty of a fine, and such orders are not enforceable if they are not given in the form of a separate award (see questions 29 and 48). It is customary that the arbitrators demand that the parties give security for the arbitrator’s costs and fees in advance, as does the SCC Institute. The parties normally pay half each. If a party fails to pay its share, the other party may decide to either pay the whole security amount to cause the commencement of the arbitral proceedings or petition its claim to the courts, since the non-paying party may not invoke the arbitration agreement as a bar to court proceedings. Neither Swedish arbitration law nor the SCC Rules provide for any explicit rules to take down ‘guerrilla tactics’. The arbitral tribunal must rely on its normal tool box, which is reduced to more common instruments such as, inter alia, setting time limits in procedural orders at the risk of the tribunal disregarding defaulting actions by a party (such as a late submission); drawing adverse inferences when assessing, for example, an unreasonable refusal of providing evidence or other kinds of counterproductive behaviour; and by taking regard to unnecessary or improper measures by a party when deciding on the allocation of costs. Counsels may not be subject to direct sanctions by the arbitral tribunal or the SCC Institute (see also question 50). However, the SCC Rules provide a possibility for a summary procedure in article 39. Under this article, a party can request the arbitral tribunal to rule on one or more issues of fact without necessarily undertaking every procedural step that might otherwise be adopted for the arbitration. The summary procedure is a case management tool intended to permit the quick dismissal of frivolous claims whereby, as an example, an allegation of fact or law material to the outcome of the case is manifestly unsustainable; even if the facts alleged by the other party are assumed to be true, no award could be rendered in favour of that party under the applicable law; or any issue of fact or law material to the outcome of the case is, for any other reason, suitable to determination by way of summary procedure. Failing prior agreement between the parties, it is sufficient that the decisions of the arbitral tribunal are made by a majority of the arbitrators. In the case of equal votes, the opinion of the chair prevails. If an arbitrator refuses to participate in a decision without valid cause, the other arbitrators can still decide on the matter. It is enough that a majority of the arbitrators sign the award, on the condition that the cause of the failure of having the signature of all the arbitrators is given in the award. It can be agreed between the parties that the chair alone signs the award. Dissenting opinions are allowed and the majority could not normally prohibit the minority to express a dissenting opinion in the award or as an appendix to the award. However, this right is not unconditional and a dissenting opinion could be excluded, for example, if the award has already been rendered or if the rendering of the award would be delayed awaiting the dissenting opinion. A commonly presented reason in favour of allowing dissenting opinions is that an arbitrator should be given the opportunity to protect himself or herself from potential claims as a consequence of the majority’s position. A dissenting opinion has no direct consequence for the validity or enforceability of the award, but might provide the parties with insights on how to formulate a challenge of the award if the dissenting opinion deals with procedural faults. In addition to what is accounted for under question 32, the award must be in writing and the place of the arbitral proceedings and the date of the announcement must be specified. There is no legal requirement that the arbitrators give reasons for the award, but if the parties have not expressly renounced it, the arbitrators should presume that the parties want reasons and provide them. No, the Arbitration Act does not provide for a certain time limit for rendering the award and the issue is subject to agreement between the parties. Under section 21 of the Arbitration Act, an agreement between the parties concerning the management of the arbitral proceedings, including any provision regarding the time limit for rendering the award, must be applied by the arbitral tribunal. However, if an obstacle can be foreseen as to the application of the agreement, exceptions are allowed. Such an obstacle may be that the arbitral tribunal estimates that it will be impossible or unreasonable to render the award within the time limit owing to the scope or complexity of the dispute. Under the SCC Rules, the award shall be rendered six months after the dispute was referred to the arbitral tribunal. If necessary, the board of the SCC Institute may extend the time limit. The date of the announcement of the award is decisive in respect of the arbitrators’ possibility to correct or supplement the award without a party’s request. The arbitrators may correct obvious inaccuracies such as a slip of the pen, calculation errors or similar oversights. The date of delivery of the award is, among other things, decisive for the arbitrators’ obligation to correct, supplement or interpret decisions in an award at a party’s request. In both of the above-mentioned cases, the time limit is 30 days. A revision of the award shall be made within 60 days of the arbitrators’ decision to correct or amend the award. The date of delivery of the award is also decisive as to the time limits for challenging the award. A petition to a court to challenge the award should be made within three months from delivery or, if the award has been revised within three months, from the date of the delivery of the revised award. An award that does not examine an issue that has been brought forward during the arbitral proceedings may also be altered, wholly or partly, on the request of a party. Also in this case, the time limit is three months from the date of delivery. The arbitral tribunal may grant relief in respect of unlimited types of affirmative acts such as the payment of monies, but also payments in kind such as the delivery of goods or the fulfilment of a construction project. A request for a party to refrain from an act is also seen as a type of negative action that can be granted. Further, it is possible to grant declaratory relief, including, but not limited to, the existence of a fact or a legal requisite. The arbitral tribunal can give final awards, including consent awards, and separate awards such as interlocutory, provisional and partial awards. None. According to section 27(1) of the Arbitration Act, the termination of an arbitral proceeding must always be made by means of an award, as well as in the case of a dismissal without prejudice because of, for example, lack of jurisdiction. In the case of withdrawal of a relief sought, the tribunal must try the cause on its merits if requested by the other party. If the other party makes no such request, the tribunal must give what is known as a ‘termination award’ to dismiss the case. The termination award appears to be a Swedish oddity. In most jurisdictions, the withdrawal of the parties’ claims or an agreement to terminate the proceedings would result in a procedural order being issued (see article 32(2) of the Model Law). Normally, the losing party must pay the winning party’s costs, but if the parties win and lose a proportion of a claim, the costs should be allocated on equity. As a rule, all kinds of costs attributable to the arbitral proceedings are recoverable provided that they are reasonable. Such costs include, but are not limited to, arbitrators’ fees, counsels’ fees, production of evidence, expenses and disbursements. Yes. If requested by a party, interest may be awarded for both principal claims and costs. The rate depends on the applicable substantive law. The current rate according to the Swedish Interest Act is 8 per cent plus the reference interest rate as determined by the Swedish National Bank. The rate before maturity of a debt may be 2 per cent above the reference rate. Yes. Any decision to revise or interpret an award should be preceded by an opportunity for the parties to provide comments. See also question 37.
there otherwise occurred a procedural irregularity that is presumed to have affected the outcome of the case and the petitioning party is not at fault. An award may be declared invalid or set aside in part. A challenge of an award is made directly at the second instance at the a competent court of appeal and must be made within three months from the date upon which the party received the award. Under the new Arbitration Act, the time limit will be shortened to two months (see ‘Update and trends’). If the court of appeal gives the parties permission to appeal its judgment and if the Supreme Court grants leave to appeal - thus if the case involves a question that needs to be clarified for future application of the law - the Supreme Court will try the case as the last instance. A party challenging an award would have to consider that it takes between one to two years depending on the complexity of the case for the court of appeal to reach a decision and another year or so for the handling of the case by the Supreme Court. The costs are very hard to foresee. Concerning the apportionment of costs, see question 40. An award rendered in Sweden is enforceable according to section 3(1)(1)(4) of the Enforcement Code. Section 3(15) states that an enforceable award must be in writing and signed by a majority of the arbitrators. The bailiff must always give the adverse party the opportunity to comment on the enforcement application before taking any action. Foreign awards that are covered by the Council Regulation (EC) No 44/2001 of 22 December 2000, on jurisdiction and the recognition and enforcement of judgments in civil and commercial matters (the Brussels I Regulation), can be enforced by the Swedish Enforcement Agency directly. However, in most other cases - before a foreign award can be enforced in Sweden - it is required that a court first decides that the judgment is enforceable in what is called a ‘declaration of enforceability’. The application for a declaration of enforceability shall be made in the competent district court where the opposing party is domiciled. As soon as the declaration of enforceability has been obtained, the foreign award may be enforced through the Enforcement Agency. The court only reviews that the award meets the formal requirements (which are largely the same as set out in the New York Convention); it does not review the merits or substance of the award. Normally the opposing party is not given the opportunity to respond before the court declares the award enforceable in Sweden. Generally, it is believed that Swedish courts take a pro-enforcement approach. No, there is no limitation period to file a petition for the recognition and enforcement of an arbitral award as such. However, limitation periods under Swedish substantive law or under foreign substantive law may apply with regard to the claim arising from the award. As far as the authors know, there exist a couple of lower instance cases where Swedish courts have denied execution on the basis that the award had been set aside by the courts of the place of arbitration, but no case where the court has granted execution in such circumstances. Furthermore, it has been argued by scholars that the Swedish rule on execution of arbitral awards is non-discretionary and that the wording of the rule prohibits any execution of an award that has been set aside. It could also be argued that the Swedish rule on execution must be interpreted in accordance with article V(1)(e) of the New York Convention, which states that execution may be refused. While awaiting a precedent, there is the opinion that the open provision of the New York Convention would prevail over a narrow interpretation of the Swedish execution rule. There are no special rules under Swedish arbitration law or enforcement law that allow for enforcement of decisions by an emergency arbitrator. However, the parties can agree (in the arbitration agreement) to give an emergency arbitrator the authority to render his or her decision in the form of a separate award, such as an interlocutory or provisional award. If the decision is in the form of an award, it can be enforced in the same way as an award that resolves the dispute. The SCC Rules have incorporated provisions allowing emergency arbitrators to render separate awards (see article 37(1)-(3) of the SCC Rules in conjunction with Appendix II article 1). Such an award would thus be enforceable. With regard to foreign awards, an application for recognition and enforcement involves no application fee, but there may be costs for translating the award as well as lawyers’ fees. After the court’s decision to permit enforcement, the bailiff will charge a fee of 600 kronor to execute the measures necessary for the enforcement, such as distraint. If property must be sold by way of public auction, the bailiff will charge a percentage on the sale. The percentage depends on what kind of property is sold. A party is entitled to obtain a decision on costs in matters concerning enforcement of foreign awards (see Sydsvensk Produktutveckling AB in bankruptcy and JA v American Pacific Corporation, NJA 2001 p. 738 II). Concerning awards rendered in Sweden, the bailiff will charge the same fee to enforce the award (including any measures to be executed). Since Sweden and its capital, Stockholm, have been among the most frequently chosen venues for international arbitration for more than half a century, arbitral proceedings in Sweden display very few particularities in relation to the judicial system. Swedish practice, however, recommends flexibility and party autonomy. As to the various procedural issues that may arise during the arbitral proceedings, the Code of Judicial Procedure exercises some influence and is not infrequently applied analogously. The Code of Judicial Procedure thus influences Swedish arbitral proceedings, but with important exceptions; for example, written witness statements are allowed and are frequently used - particularly in international proceedings. US-style discovery is not practised unless the parties agree to it. No formal requirements exist for counsel under the Arbitration Act, and there are no rules that would allow an arbitrator to reject an inappropriate counsel or other party representatives. However, general principles of contract law and procedural law may allow for an arbitrator to not accept the purported authority of a party representative, thus treating the party as being without representation and proceeding with the arbitration on that basis. Such general rules can, inter alia, be found in Chapter 11 and 12 of the Code of Judicial Procedure. If the counsel is a member of the Swedish Bar Association, the Code of Conduct of the Bar Association applies. The Code of Conduct is available at www.advokatsamfundet.se/Advokatsamfundet-engelska/Rules-and-regulations/Code-of-Conduct. Good practice in Sweden with regard to international arbitration could be described as a mix between general principals deriving from the Code of Judicial Procedure and the Bar Association’s Code of Conduct. Good practice is sometimes in accordance with the IBA Guidelines on Party Representation in International Arbitration, but sometimes not. On a general note, the IBA Guidelines goes somewhat further and gives more power to the arbitral tribunal than good practice in Sweden. Full application of the IBA Guidelines would require the parties’ consent. There are no restrictions on third-party funding in Sweden, and although the concept is still a quite new phenomenon it is becoming increasingly common. Although permitted, the effect third-party funding could have on the distribution of costs and expenses in the arbitral proceedings should be noted. As explained in question 40, cost normally follows the event, and the losing party pays for the winning party’s costs and expenses. As a rule, all kinds of costs attributable to the arbitral proceedings are recoverable, and include, but are not limited to, arbitrators’ fees, counsel’s fees, production of evidence, expenses and disbursements. If the winner has external funding and the financier has incurred costs in the arbitration, such costs could be recoverable, although case law to that end is still to be seen. However, if the losing side had external funding, it is possible that the financier will be (jointly) liable for the winning side’s costs and expenses in certain cases. Recent developments in case law suggest that the courts are willing to see beyond the principal party in the proceedings if that entity is just a ‘vehicle’ for the underlying financiers or benefactors. In the Processor case (NJA 2014 p. 877), two natural persons had interests in a company that lost substantial amounts of money because of alleged negligent advice from its accountant (from one of the big accountancy firms). In trying to recover the lost money, the claim was transferred to a shelf company that brought forward a court action against the accountancy firm. The company lost the case, which resulted in an obligation to pay for the accountancy firm’s costs and expenses. Since the company was soon declared bankrupt (because it had no other assets or business apart from the claim), the accountancy firm filed suit against the financiers and benefactors - the two natural persons - for the full amount of costs and expenses. The Supreme Court found that the company was only a vehicle for the natural persons to commence legal proceedings against the accountancy firm without personal risk. The Supreme Court pierced the corporate veil and found the natural persons to be personally liable for the full amount of costs and expenses in the preceding court case (see also the SCC arbitration case Quasar de Valores SICAV SA v The Russian Federation from 20 July 2012). See question 50. Arbitrators may be called upon to testify before a court in proceedings where the award is challenged, this may include what has been said during deliberation. Attorney-client privilege is not protected under Swedish law to the same extent as, for example, in the Anglo-American legal systems. As discussed in previous years, steps have been taken to modernise the Arbitration Act. On 1 March 2018, following a committee report, the Swedish government issued its proposed amendments to the Act aiming for its approval and entry into force on 1 March 2019. Some of the investigation committee’s suggestions were discarded by the government, including the suggestion to repeal section 33 of the Act (eliminating the differentiation between grounds for invalidity and setting aside an award (see question 43)); and to include an express rule whereby an arbitral tribunal may order security measures via special awards (see question 29). Two or more arbitrations may be consolidated if the same arbitrators are appointed in all arbitral proceedings, the arbitrators decide that consolidation is beneficial to the arbitrations and the parties do not object (see question 14). An arbitral tribunal’s decision on jurisdiction can be appealed to the competent court of appeal (see question 21). The ground to challenge an award for an excess of mandate should include the requirement that the excess of mandate likely affected the outcome of the dispute (see question 43). The time limit for challenging an arbitral award should be shortened from three to two months (see question 44). Further, the European Court of Justice ruling in the Achmea case (Case C-284/16), where it found an arbitration clause in an international investment agreement between two EU member states incompatible with EU law, has led to much speculation regarding the future of investment arbitration clauses in current and future investment treaties. No bilateral investment treaties have been terminated further to the Achmea case. There are no known pending investment arbitration cases in which Sweden is a party. 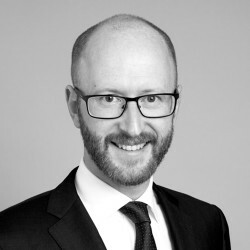 However, Swedish investors have instigated cases against their host countries in at least five cases, including in the case Vattenfall AB and others v Federal Republic of Germany (II) (ICSID case No. ARB/12/12). Delphi is one of the top commercial law firms in Sweden. We help our clients with mergers and acquisitions. We advise them on matters of banking, finance and capital markets. We represent clients in court and in arbitration and are acknowledged as being extremely competent in public procurement, environmental law and real estate law.